Why should I join a Nanny Association? Why should I join a professional association? The short answer is simply support and resources. Professional associations are service providers. These associations can perform many tasks,such as advocacy, public relations and bulk-buying, more effectively than individuals can otherwise carry out. In return, members pay membership dues and volunteer for association tasks to carry out the needs of the association. Information. I want to receive accurate and prompt information about the issues I need to know about. Better information means I can make better decisions that affect my career. Advocacy. I want my professional interests brought effectively to other professionals, key stakeholders and government bodies, the insurance industry, media and any other organisation my colleagues and I encounter in our jobs. Public relations. I want an association to actively educate and market to the general public and referring service providers on a regular and consistent basis regarding the scope and benefits of professional in home nanny care, and to counter any negative press that may harm the profession. Expansion of opportunities. By investing in research and building alliances, an association can open new doors for my colleagues and me in building credibility and recognition. Professional development. I want high-calibre experts brought locally to association events, so I can learn straight from the master. Enhance my network and broaden my career. For most people, creating professional relationships is important, and joining a group allows you to have a sense of security and trust. From this, you are able to support and help one another in reaching your professional goals. Associations run numerous events throughout the year that allow you to connect with your peers.You can share ideas, ask for advice, volunteer to be a speaker or become a member of a committee. Since most associations have national or local conferences, you can participate and have the opportunity to learn about breaking news in your career, learn “best practices” or new ideas, hear about key achievers in your field and also meet and brainstorm with others who are also looking to share and learn new information. Another benefit of enhancing your network is that you may find a mentor to help you with your professional needs or you may be in a position to become a mentor to someone else. Giving back can be the greatest reward and benefit. Participating in forums, chat groups or discussion boards sponsored by the association is also a great way to grow your network. This allows you to use your peers as sounding boards and often make some great friends with the same interests as you. 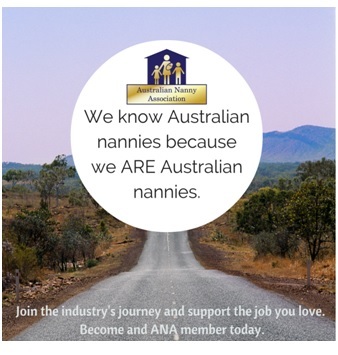 The Australian Nanny Association is proud to have our professional agency members join with us in supporting and growing the nanny home based care community. Our aim is to bring together, support and represent nannies and manny home based carers working in Australia. Supporter members of the ANA will be recognised publicly as individuals or businesses that support the aims, philosophy and goals of ANA. Family Membership is for families that employ a nanny/manny. Australia’s peak body representing nannies and nanny agencies. our vibrant national community as an Australian Nanny Association member. There are options for nannies, agencies, businesses, families and individual supporters. thanks to the supportive friends of the Australian Nanny Association we have some fantastic membership discounts to offer. Advocacy to ensure professional interests shared effectively to other professionals, key stakeholders and government bodies. Public relations to actively educate and market to the general public and referring service providers. Professional development by high-calibre experts brought locally to association events. Enhance your network and broaden your career. Night Nannies is a specialised nanny agency assisting families with day and overnight sleep guidance and postnatal care. Geelong Nannies warmly services the Geelong and Greater Bellarine region of Victoria. We are Australian Small Business Award Winners 2015 who service the Sydney metropolitan area providing professional in home childcare services for families.